When I first started my business I thought the easiest part would be nailing down my branding. I looked forward to exploring different logo and website options, but quickly realized this part would be the most difficult. For years I changed these elements to fit whatever was "on trend" at the time, never really having a brand that felt like me or my business. But earlier this year all that changed when Kathryn from Creme Brands came into my life! For the last several months we've been working hard on developing a brand that would reflect my work and style, and you guys she nailed it! My favorite part is our new brand mark. Kathryn didn't just draw up a pretty logo, there is meaning and intention behind it. The mark itself contains a rose with a hidden letter R inside. 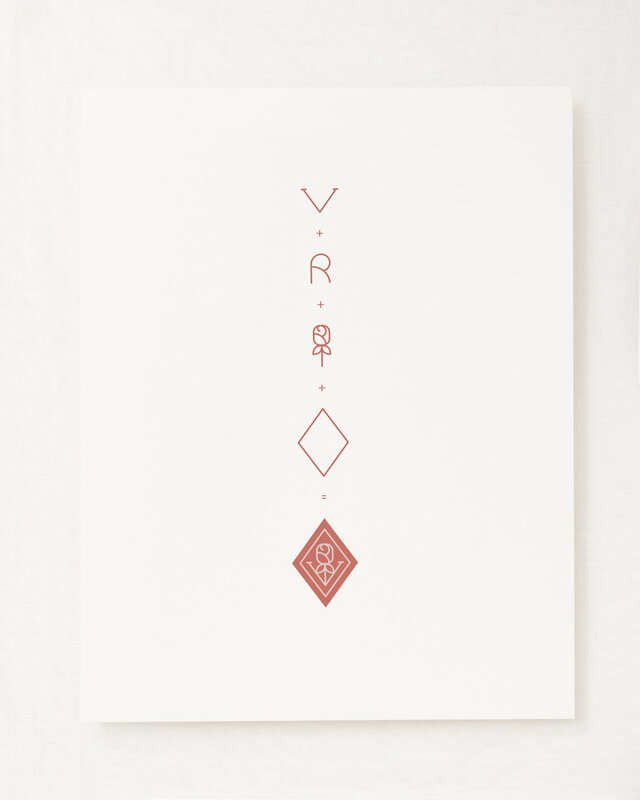 The V fits perfectly into the diamond shape which, in heraldry, symbolizes honesty and nobility, and the color while bold, is neutral enough to withstand the test of time. This rebrand is so much more than a pretty logo and website, it's a new strong identity that represents my passion for serving our clients. I am so excited to finally have a brand that will remain a constant as our business continues to grow. I am so grateful to Kathryn for guiding me through this process and basically taking everything that was in my head, and making it a reality! I hope you love our new brand as much as I do.